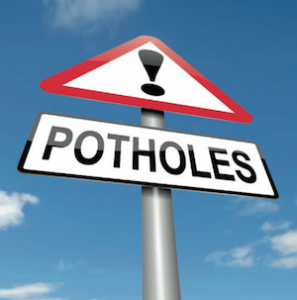 The National Franchised Dealers Association (NFDA) has urged the Government for substantial investments in UK roads focussing particularly on the increasingly worrying problem of potholes, expansion and development of motorways and improvement of road connectivity. A recent study commissioned by FairFuelUK and published by the Centre for Economics and Business Research (CEBR) has confirmed that the condition of UK roads is ‘highly concerning’. The need for the Government to invest in road maintenance, development and connectivity, was one of the main points outlined in the NFDA’s Budget submission to the HM Treasury. We are pleased to see that recent figures* confirm the importance of the issue”, said Sue Robinson, Director of the National Franchised Dealers Association (NFDA). Despite the establishment of a ‘pothole fund’, most garages report that they are changing more springs than ever before.